There’s something uniquely satisfying about making your own version of storebought foods using fresh, quality ingredients. It’s also a great way to cook with kids (and keep them from destroying the house on a rainy day). From Starburst-Style Chews to Nacho Cheese, here are five of our favorite ways to recreate supermarket treats without having to leave the house. Try these recipes, and if you’d like us to develop techniques for other stuff on your grocery list, tell us about those in the comments. Nooks and crannies! 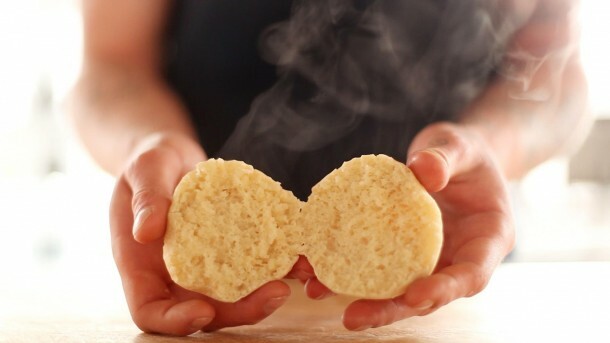 Thomas isn’t the only one who can make English Muffins. Since 1747, baking enthusiasts (or, you know, people who just wanted to eat) have been doing their own versions of this comforting breakfast treat, and you can too. English muffins, fresh from the oven. What’s the best thing to serve with pulled pork and crunchy coleslaw? King’s Hawaiian Sweet Rolls, of course. The only way to improve on that satisfying summer meal is to make the rolls yourself and serve ’em up fresh. 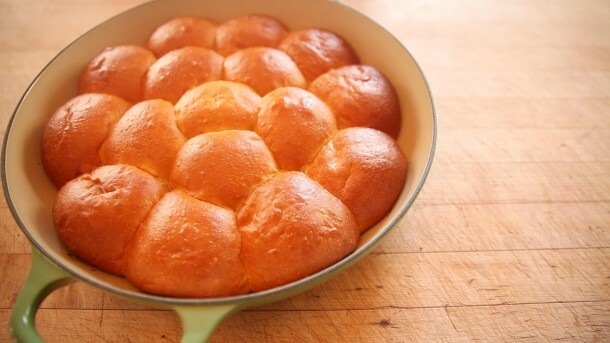 Hawaiian Sweet Rolls, always great with pulled pork. Life hack alert: If you only make one recipe on this list, let it be homemade Ice Cream Cones. Because it’s so easy you won’t believe you ever bought that stack of styrofoam-esque sugar cones. This is how you get fast-tracked to parent of the year, and you don’t even have to attend one PTA meeting. 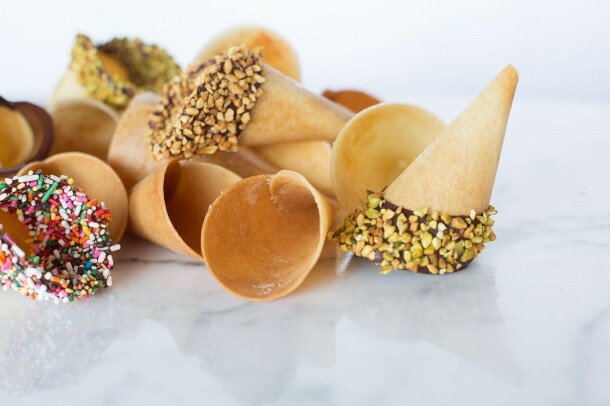 Homemade Ice Cream Cones—as impressive as they are easy. Nacho Cheese is one of those foods you eat with the blinds drawn when your significant other goes out of town. Well come out into the light, Velveeta lovers. 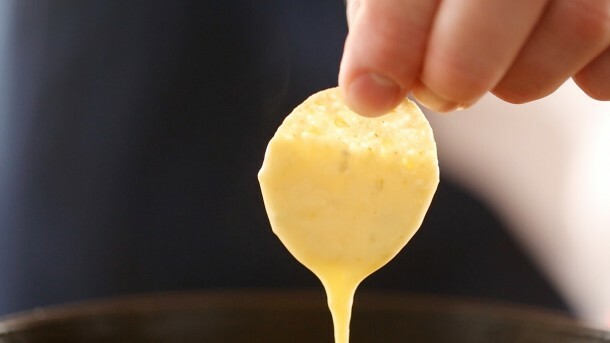 ‘Cause there’s no shame in indulging in creamy, chip-coating cheese sauce when it came out of your own kitchen. The secret—melting salts. And they’re about to change your life. 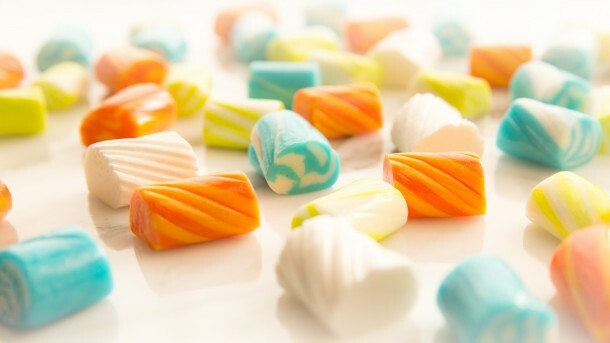 Stretch your confectionery skills with Starburst-Style Chewy Candy. Want to find more great recipes to enhance your experience in the kitchen? Chat with other modernist cuisine enthusiasts? Get the first word on ChefSteps news and events? Join our community and get cooking. I would flip out if I could make Chicken In A Biskit at home. Yum. Thanks for the suggestion, @tifosi77:disqus. I will pass it on to the chefs. I would like to see your shot at home made ketchup, digestive, parma ham, salciccia and other sausages, Italian or French salamis, mortadella. I feel a class coming up on home made antipasta. Or perhaps 10 top recipes in your chamber vacuum machine. Love that idea. Will pass on to the kitchen, Jens. I always make it from scratch, but I’d love to see a ChefSteps-style Mac n’ Cheese. Good idea, Franz. Definitely noted. What is the music on the starburst bit? It is a fun video. It got me interested in your site as a whole.